PokeCenJP will release the following plushies in January and February 2011 respectively. Thank you and credit goes to Asami's Diary 26 Dec for poster photo and plush info. As for other plushies, please refer to these posts. 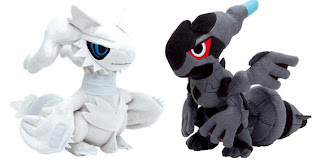 Height is bit taller than regular Pokedoll.